For lucky Number 1, drive in this life is characterized by individualistic desires, independence, and the need for personal attainment. The purpose of life for this lucky Number is to become independent. This is a two part learning process. First, they must learn to stand on their own two feet and learn not to depend on others. After they are indeed free and independent, they must learn to be a leader. 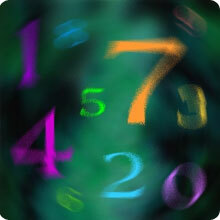 Many of our Generals, corporate leaders, and political leaders are men and women having the lucky Number number 1. They always have the potential for greatness as a leader, but they may fail as a follower. Many 1's spend most of their lives shaking off their dependent side. When this happens, there is little time left for enjoying the rewards to be gained through independence. The individuals with lucky Number 1 has to overcome an environment in which it is very easy to be dependent, and difficult to be independent. A person with positive traits, creative inspiration, enthusiasm and drive to accomplish a great deal. They are on drive's seat and potential for action comes directly from the enormous depth of strength they have. This is both the physical and inner varieties of strength. With this strength comes utter determination and the capability to lead. As a natural leader they have a flair for taking charge of any situation. Highly original, they may have talents as an inventor or innovator of some sort. In any work that they choose, they are independent. they have very strong personal needs and desires, and they feel it is always necessary to follow their own convictions. They are ambitious, and either understand or must learn the need for aggressive action to promote theirself. Although they may hide the fact for social reasons, they are highly self-centered and demand to have their way in most circumstances. When the 1 lucky Number person is not fully developed and expressing the negative side of this number, the demeanor may appear very dependent rather than independent. If they are expressing this negative trait of the number 1, they are likely to be very dissatisfied with their circumstances, and long for self-sufficiency. This is defined as the weak or dependent side of the negative 1 lucky Number. On the strong side of this negative curve, they can become too self-serving, selfish and egotistical. Over-confidence and impatience mark this individual.